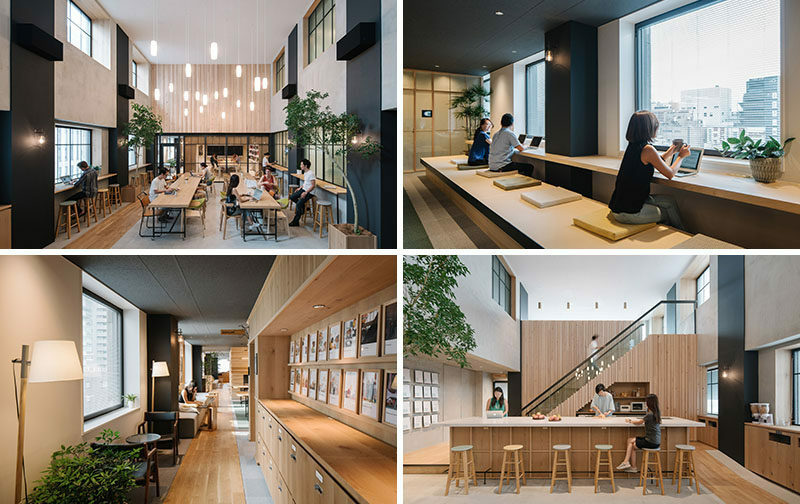 The new Tokyo offices designed for Airbnb by Suppose Design Office are looking somewhat more like a home than a workplace. 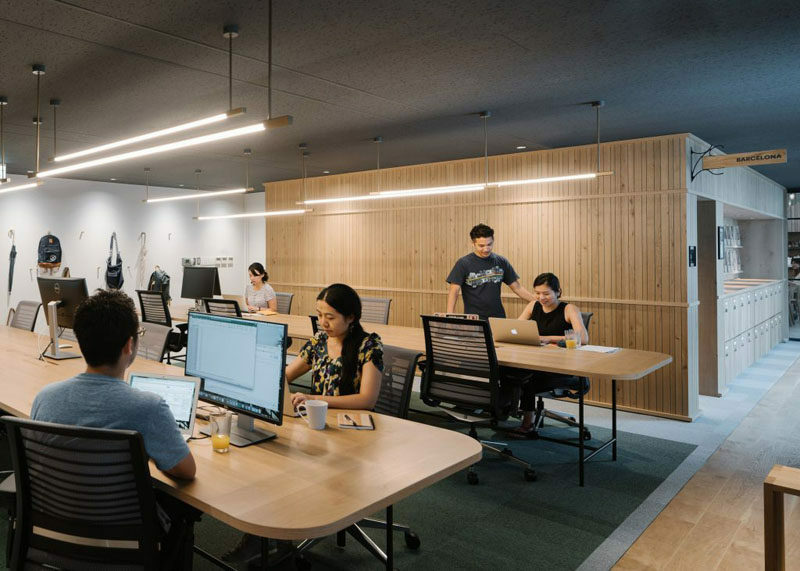 Working with the the employees and the Airbnb Environments Team, they set out to design a space that would be a friendly, open and social workplace. 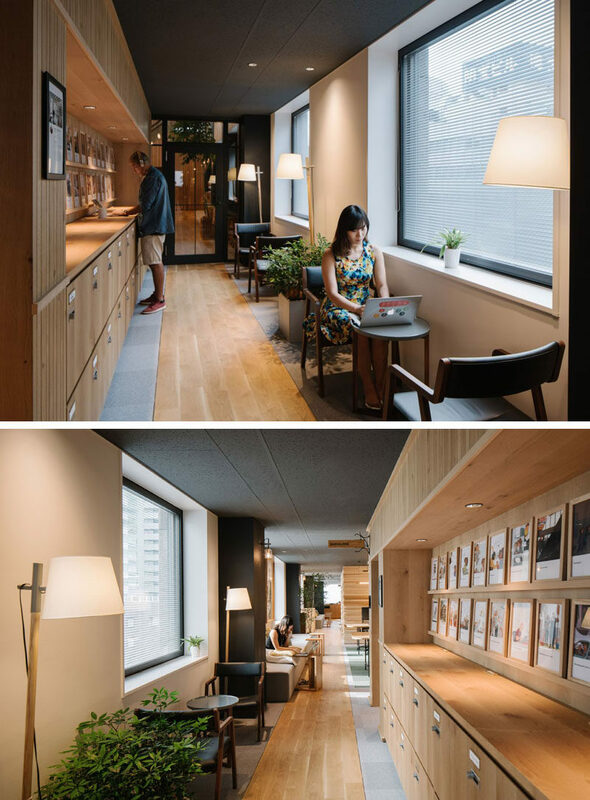 Small tucked away spaces, like in this hall, offer a quiet getaway while working. Closed off meeting rooms open to this work-space that has window seats for looking out at the city view while you work. 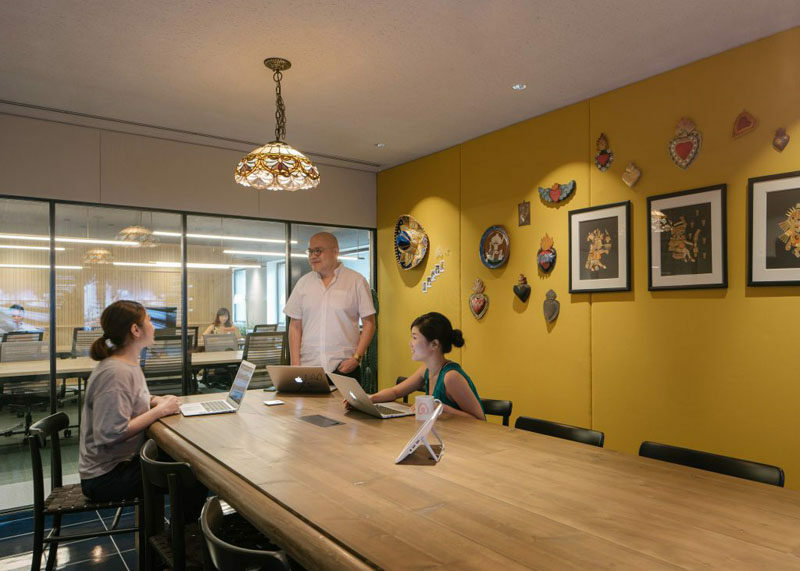 Multiple different areas where people can work are scattered throughout the office. There’s a few boardrooms in the office. This one has a bright yellow feature wall and decorative pendant lamp. 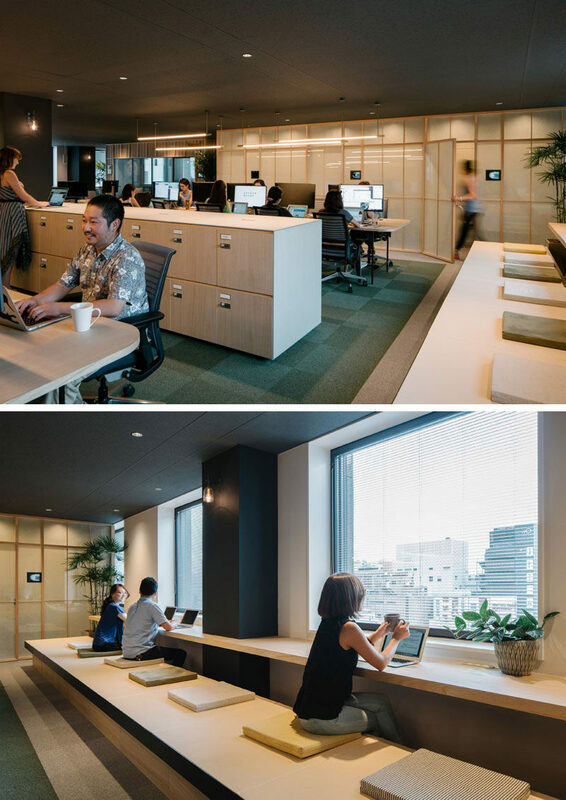 A bench filled with cushions and communal work desks runs along the window. 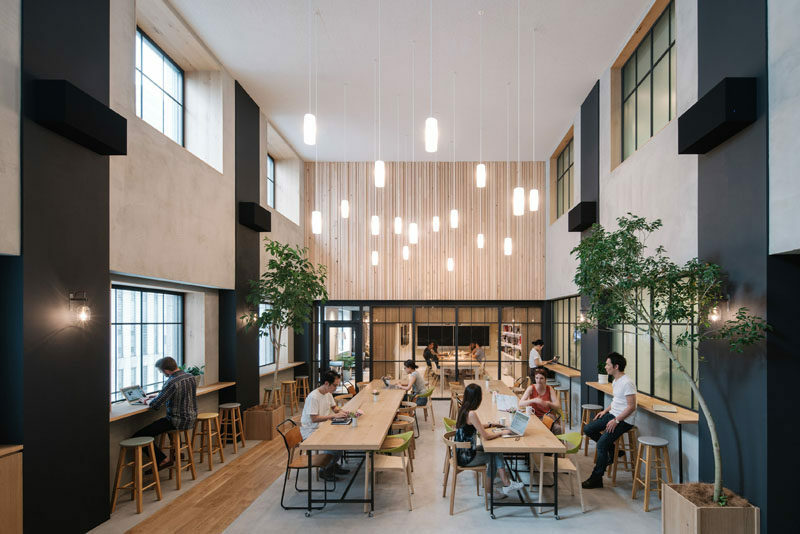 Large windows add a lot of light to the space, making it feel bright and airy. 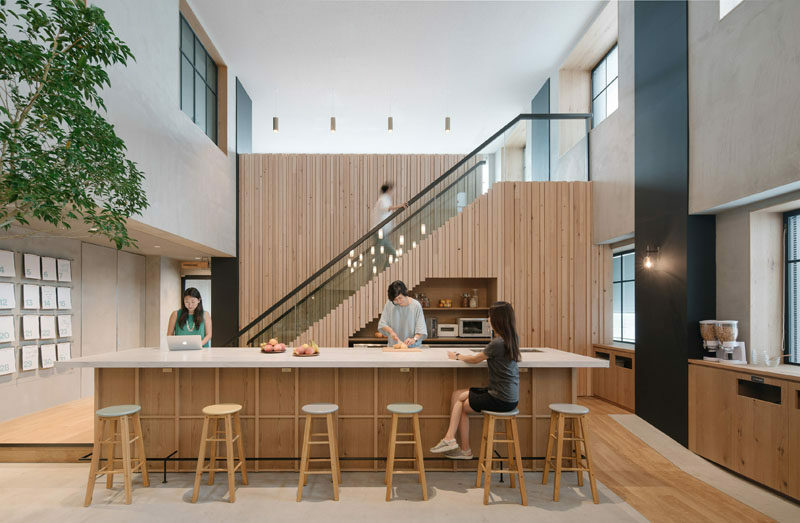 There’s also a large kitchen, with huge island, making sure there’s enough room for everybody to prepare their food and chat.